Cree Studios is designing New Century Furniture! Side Tables, Coffee Tables, Shelves and more. We use excellent sustainable hardwoods, most locally harvested. Shipping available. 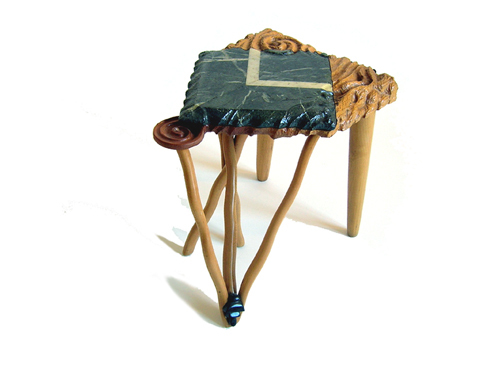 We'll be adding pieces as we produce them and will offer choice of leg height and type. 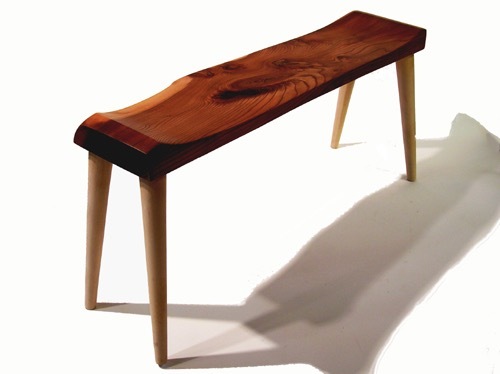 All furniture is hand made in our two-artists shop. Wood is selected for its grain and color from large 'flitches' harvested from fallen trees here in Eastern PA or in Western NJ. Please call to request walnut, cherry, or other hardwoods and size of coffee table, side tables, entry-way table or shelves. Go to our online SHOP for currently available items. Cree Studios accepts PayPal and major credit cards. 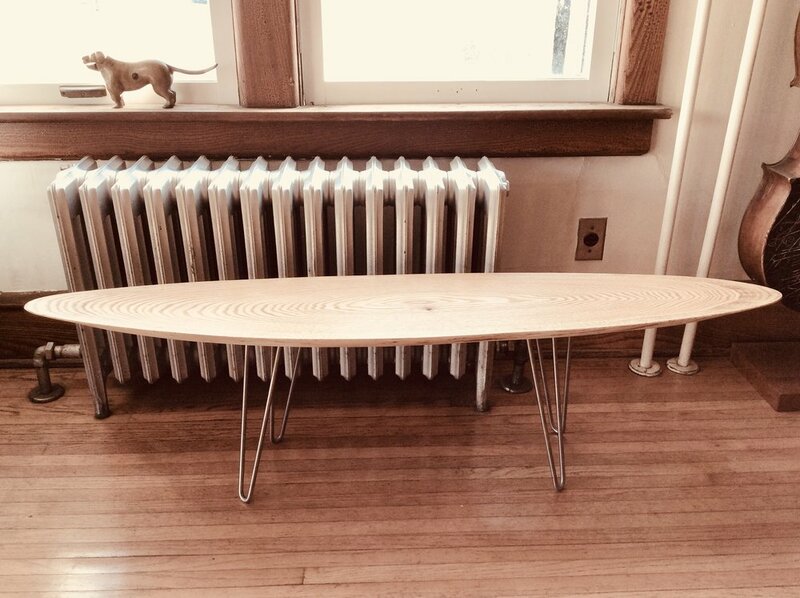 Long oval coffee table, rare cut of American Ash with 14"metal hairpin legs. Length 56” x Width 11” x Height 15” $359.00 plus shipping. 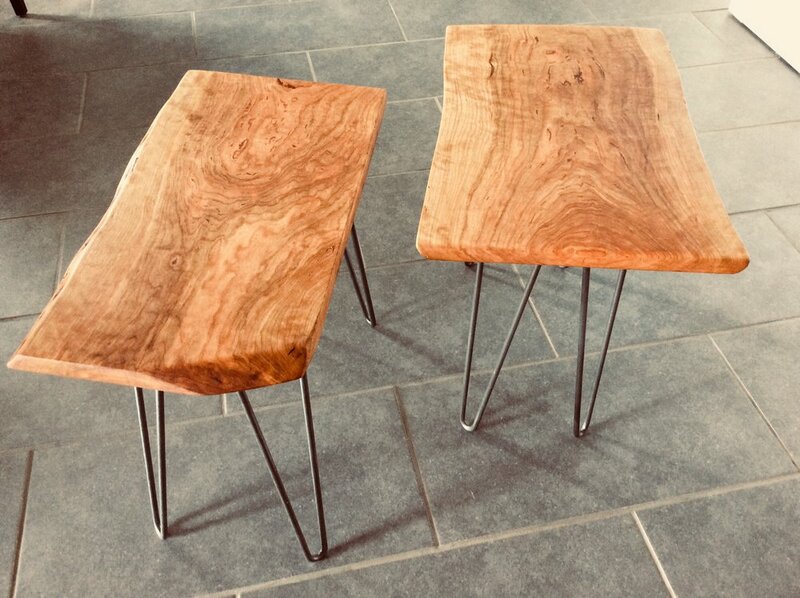 Figured cherry side table with stainless hairpin legs. The first of many to come. $285.00 plus shipping. Length 22 3/8" Width 14" flares to 15" at widest edge. Height with legs 19"